To me all hyd driven machines do not have a hydrostatic transmission. My ztr mower uses hyd pumps and motor combos on each wheel, my CUT uses what I think is true HST, and my excavator has a drive motor on each track being powered by the engines hyd pump. On the excavator I don't think there is anything considered to be a transmission. On the mower they call it pump/motor combo (or such). So when the term HST is used, what does that really mean? Ken, there are many terms in life that I feel might all best refer to the same thing or type of design. I think to look at your cut and mower you will find them much the same. From a pure scientific or engineering point of view, the term means (from my old fluid design guide) "relating to fluids at rest or to the pressures they exert or transmit, or the work they perform". There are IMHO 2 different types of 'fluid drive' systems. The first is the HST or Hydostatic Transmission, in this case a pump usually of variable displacement (swash plate) is coupled to a drive motor that turns the wheel or track. This BTW is also the type most often seen in small riding mowers, except the entire unit is a single self-contained component that includes the pump, reservoir, drive motor and trans axle all in one single housing. The second type is often referred to as just a 'hydraulic drive' system. It is usually just a pump and motor set that drives a normal gear transmission or sometimes a direct drive axle. 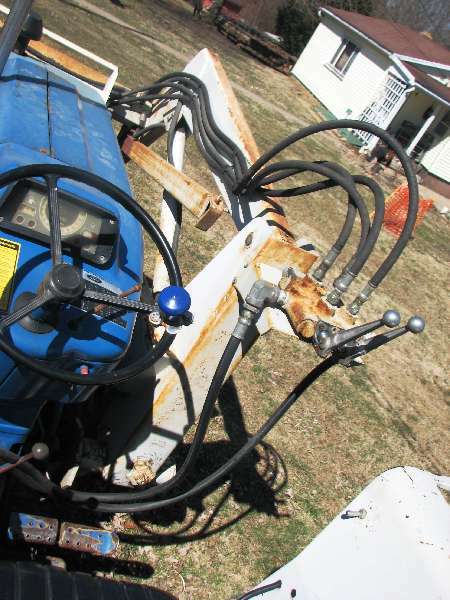 This is the type of setup most often seen in things like slow speed self-propelled equipment in construction or agriculture. Things like street sweepers that are based on a 5 ton truck chassis are often driven this way, usually with a much smaller than usual engine.